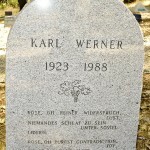 Karl Werner grew up on his family’s famous, centuries-old wine estate Schloss Groenesteyn, in Rudesheim, Germany. 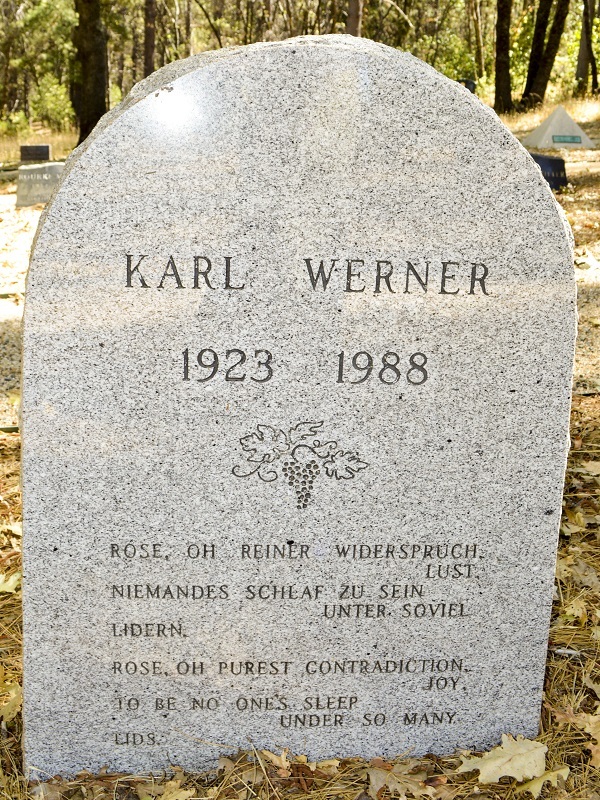 After WWII, and the loss of the estate and his noble heritage, Karl traveled the world, sharing his deep knowledge of viticulture and winemaking in Persia, South Africa, and eventually, California. 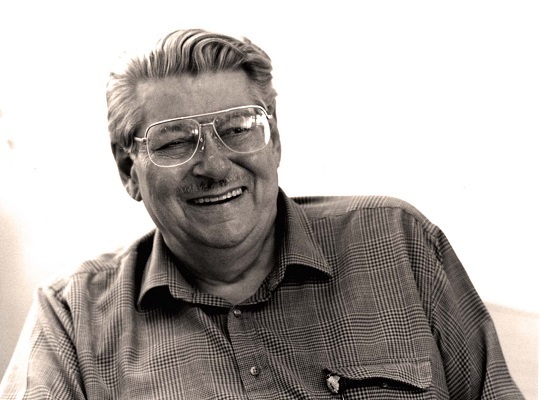 Early in the 1970s, Robert envisioned a beautiful vineyard, an elegant winery, and world class wines to be made on the Fellowship of Friends property, at what is now Apollo. Expert consultation was needed for everything from how to layout the vineyard, design the winery, and make the wines. Don Birell, the Artistic Director of the Nut Tree Restaurant complex, invited Karl Werner, the wine consultant for the restaurant; to see the rough land and the people willing to take on such a grand project. He accepted the invitation and came for dinner and a tour of the property. There was an immediate affinity between Robert and Karl. They walked the land together. Periodically they would stop, Karl then stooped down, took a handful of soil and tasted it. The final verdict, “Yes, you can grow grapes here,” declared Karl. In the morning, before Karl’s departure, Robert asked, “How much do we owe you?” To everyone’s surprise, Karl replied, “Do you have a dollar?” A dollar was found and Robert handed it to him. “Thank you,” Karl said simply, and left.